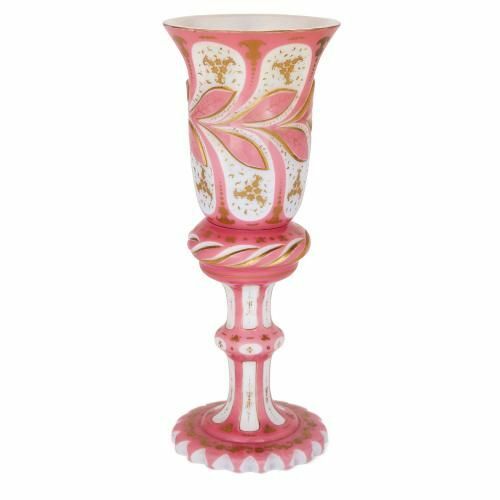 This charming 19th Century Bohemian glass goblet is notable for its fresh and delicate pink and white colour scheme and intricate parcel-gilt detailing. This stunning glass goblet has been magnificently crafted by Bohemian artisans using the overlay technique, which involves superimposing layers of differently coloured glass on top of one another. 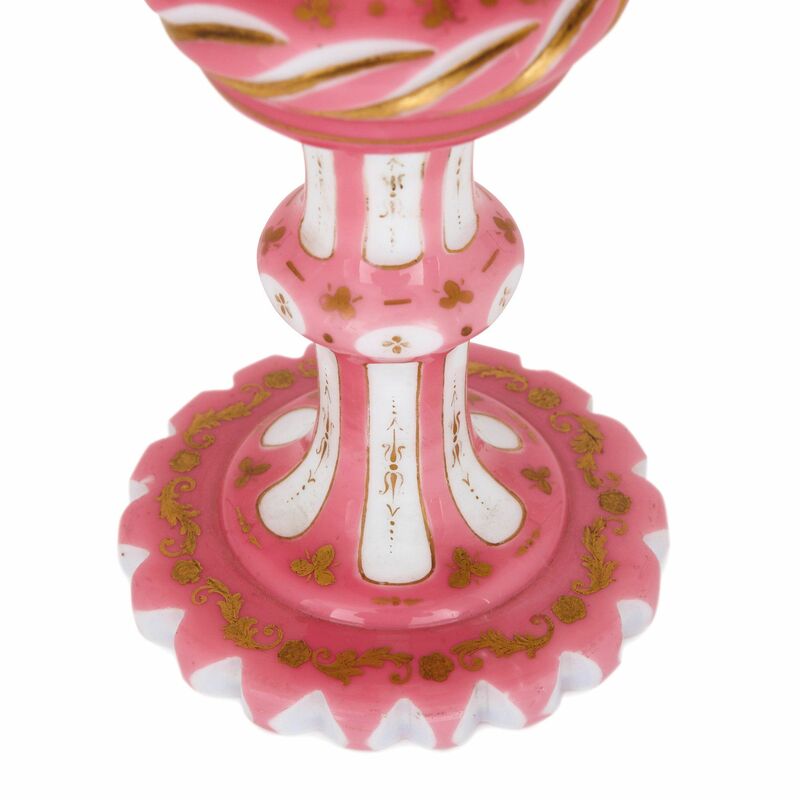 In this example there are two layers of glass, with the outer layer of pink glass cased around the lower layer of white opaline glass. 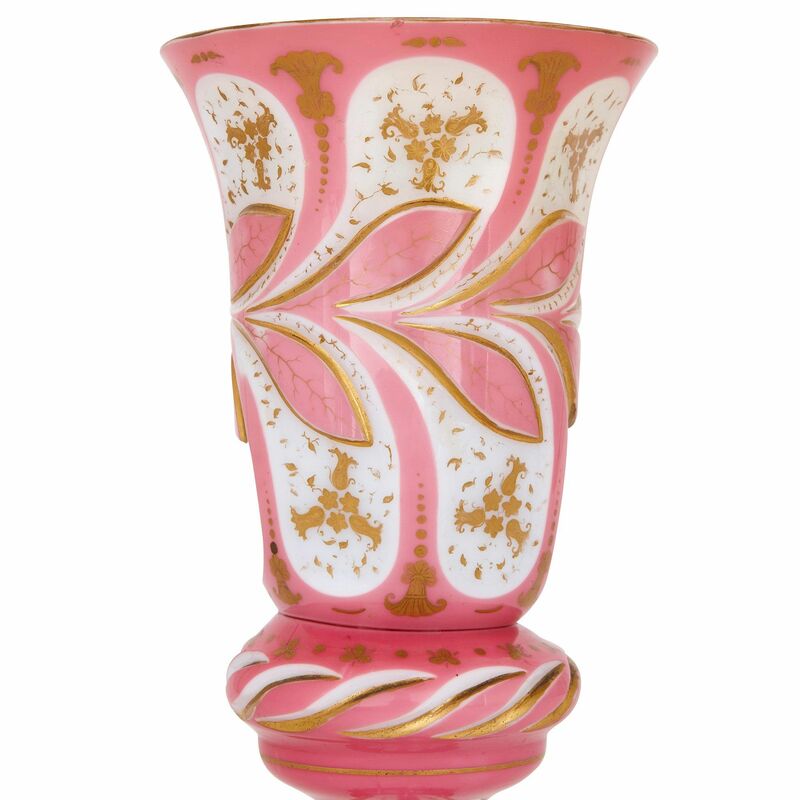 The outer layer of pink glass has then been cut in sumptuous patterns to reveal the lower layer of white glass, with further parcel gilt highlights applied all over. The goblet is of typical form, featuring a gently flared rim, tapered body and ribbed stem with a circular base. 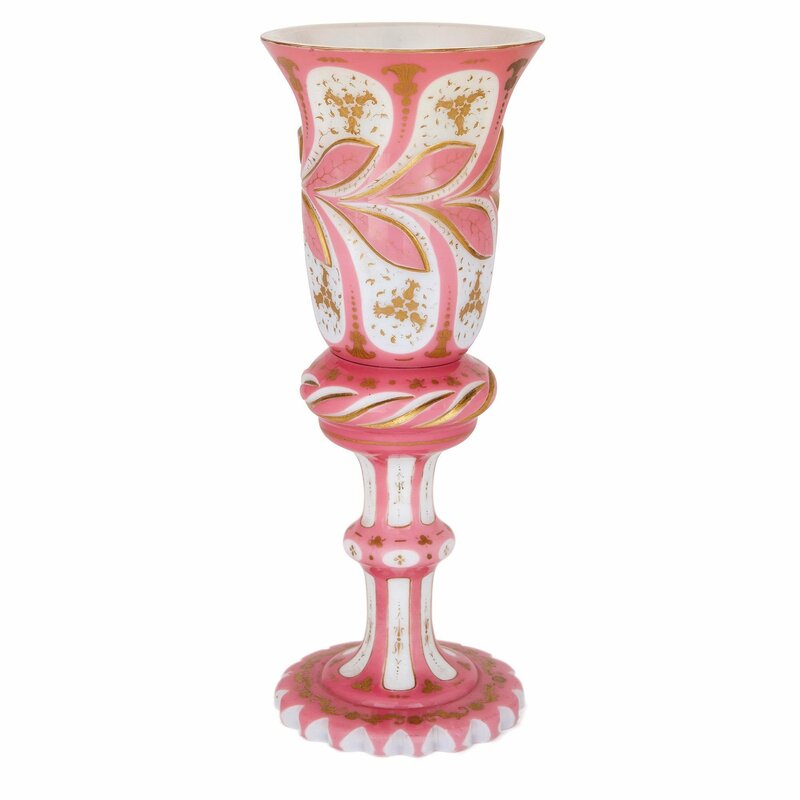 The body of the goblet features a central band of pink leaf forms with parcel gilt outline, surrounded with delicate parcel gilt floral motifs and chased feathered plumes on the white opaline ground. 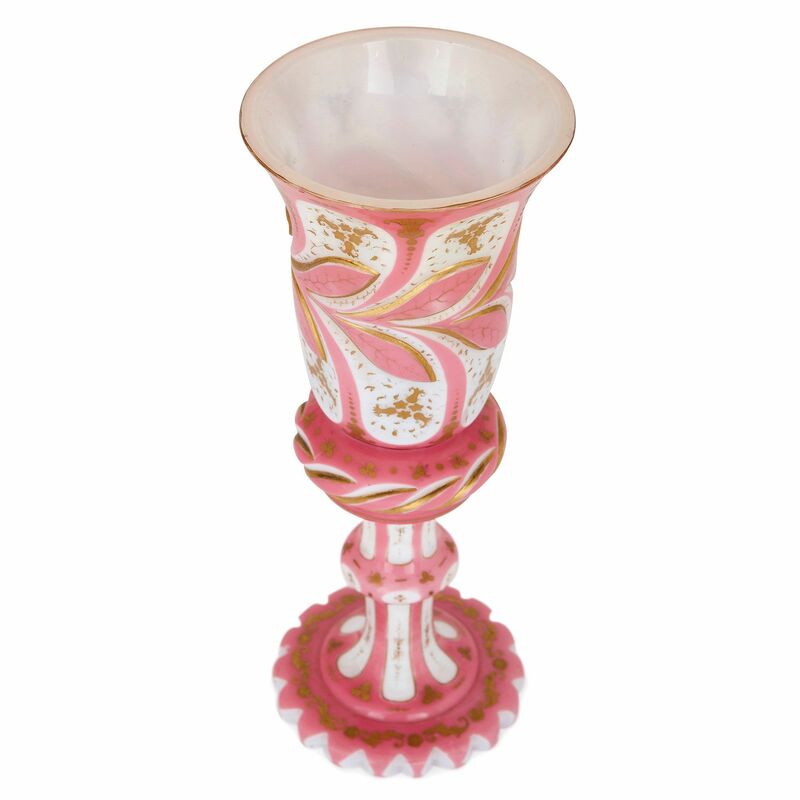 The stem has been cut to reveal a fluted design, and the base features a petal rim and scrolling parcel gilt detailing.